Difference between Scandanvian and Nordic Country, Council. HomeArticlesScandinvian and Nordic Country Difference in Detail Understand. scandinavian and nordic country differece. 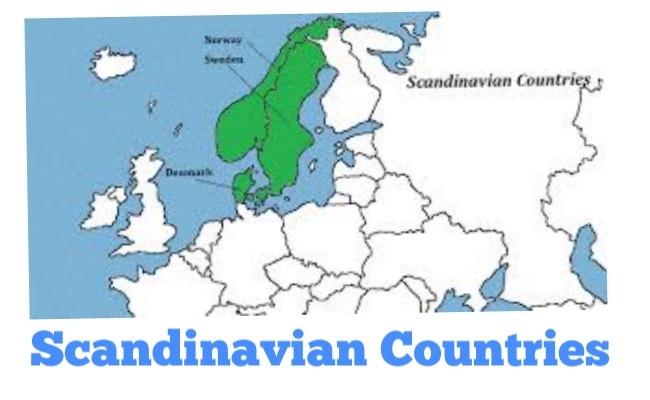 What is Scandinavian country ?. Does nordic countries comes in Scandivian country?. In this article we will see difference between them and will try to understand in depth. Difference between Scandinvian and Nordic Country, Council. Scandinavia= Sweden + Denmark + Norway. It is accepted defination of Scandanvian Countries. Basically, Scandanvian Countries are subset of Nordic Countries. The term of Nordic Countries is used for Denmark, Sweden, Norway, Ireland, Finland also their associate Countries like The Faroe Islands, Greenland and Aland Islands. Let us we will discuss all about Nordic and Scandanvian Countries. Denmark is the South most of the Nordic Countries. It is a Constitutional monarch country. Here Queen Margareth 2 has no Political power in reality, all work is done by the Parliament. Denmark is member of EU, still not uses Euro currency. Denmark has it’s own currency ‘Crown’. It is also a member of NATO. The flag of Denmark is world’s oldest flag . Note down this important for awareness. Finland is konwn for ‘The land of Thousand Lakes’, as rivers and lakes make up 10% of the country. It is most happiest country according 2018 survey. It has 5.5 million population. Nearly, 1 million people live around Capital Helsinki. Finland is member of EU and use ‘euro’ as currency but it is not member of NATO. It is said that Finland has pressure of Russia not to Join NATO. If Russia became aggressive Finland likely chance to join NATO. It has only 32000 population. More than 50% lives around capital Reykjavik. Iceland is not member of EU but participates in European Economic co-operation through EEA agreement. It is also member country of NATO. It’s currency is Icealandic Crown (ISK). If you think Iceland is very in Nodic country, but it is not true. Iceland is very green and flourished with tourist, then who is cold. It’s answer is Greenland. Norway is known for Oil and Mountains. It’s population is 5.2 million and nearly million lives around capital Oslo. Norway has constitutional monarchy, but actually king doesn’t possess any Political Power. It is member of NATO and part of European Economic area, although it is not member of EU. Sweden is most populous country among Nordic Region with 10 million people live around capital Stockhom. Sweden has constitutional monarchy and the Monarch (king) doesn’t have actual Political Power. It is member of EU and do not use euro. It has it’s own currency ‘crown’. The country is not member of NATO. Coldest country among Nordic country and has least population in Nordic Country. Only 60000 people live here and out of it 20000 people live in capital Nuuk. Greenland is autonomous region of the Kingdom of Denmark. It’s foreign policy, security is handled by Denmark. Nordic Countries each year remains at top 10 in Human Development Index and Happiness index of World. Many experts and economist says that citizen of Nordic Countries got social security. So, they don’t have uncertainty about life like India, China, Pakistan, Bangladesh where their young talent fight for employment up to 40 years. But in Nordic Countries people gets job easily and healthy policy is very good, taxes are less, education is free. These are some reason they come at top place. to understand difference between Scandinavian and nordic country. We know that arctic region is situated at North Pole of earth. We know north pole (Arctic Region) is cold and Countries situated around this area are members of Arctic Council. The council was founded in 1989 on the initiative of government of Finland. Here, 8 arctic countries officials meet in Rovianiemi, Finland to discuss cooperative measures to protect the arctic environment. Because of climate change and rising global temperature Nordic countries ecosystem is going to affect in next some decades. To fight with such problem, this council created an Ottawa Declaration on 19th September 1996 in Canada. Chairmanship of the Arctic Council changes every 2 year. Currently, Finland is chaired to this council. India and China are observer countries. To focus on environment and climate change, Biodiversity ,Oceans, to protect indigenous arctic people.